AMA Computer University (AMACU) has partnered with AMADEUS Marketing Philippines, Inc. – an e-Learning solutions company. 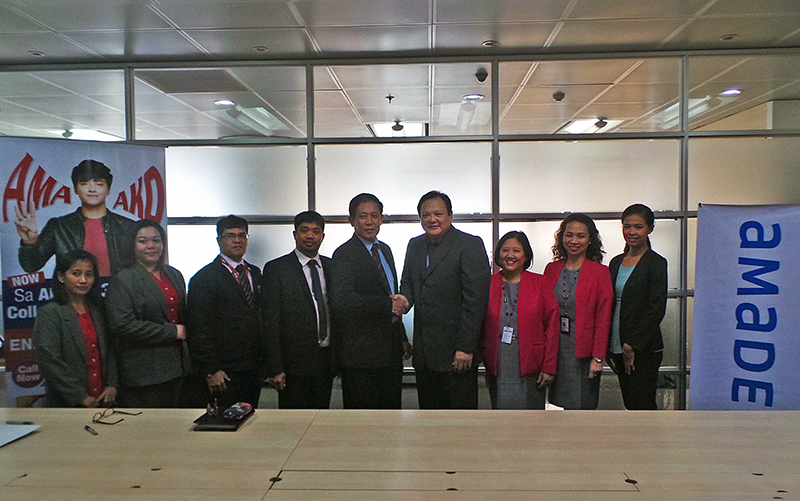 A contract-signing between AMACU and AMADEUS occurred last December 18, 2014 at the latter’s main office; and was represented by Mr. Arnel Hibo, COO, and Mr. Albert Villadolid, Gen. Manager, respectively. AMADEUS will provide a support program called Amadeus Advance Online Program (AOOP) for AMACU’s BS Tourism Management students. AOOP is a distribution system that allows users to get access to computerized travel information such as flight schedules, availability, fares and related services; and through which reservations can be made and/or tickets can be issued.